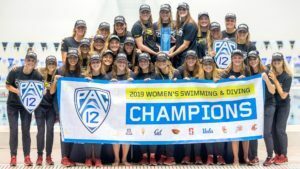 Cal junior Abbey Weitzeil claimed Swimmer of the Meet honors and UCLA senior Maria Polyakova picked up Diver of the Meet honors at the 2019 Pac-12 Women’s Swimming and Diving Championships. Weitzeil won 3 individual events – 50 free (21.16), 200 free (1:41.97), and 100 free (46.35) – and was a key contributor on 4 winning relays for the Golden Bears (20.57 anchor leg on 200 medley relay, 21.47 leadoff on the 200 free relay, 46.10 anchor leg on the 400 medley relay, and 46.39 anchor leg on the 400 free relay). 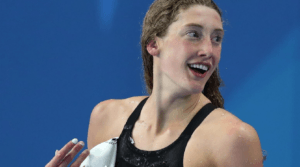 Notably, Cal broke the NCAA and U.S. Open record in the 400 freestyle relay with a 3:07.41. 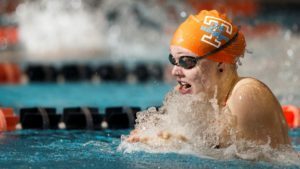 Individually, Weitzeil’s time of 21.16 in the 50 free clipped Simone Manuel‘s meet record of 21.17 and was only a hundredth of a second off of the NCAA record of 21.15 set by Tennessee’s Erika Brown at the SEC Championships last month. Her 46.35 also bested Manuel’s previous meet record of 46.36 by one hundredth of a second. 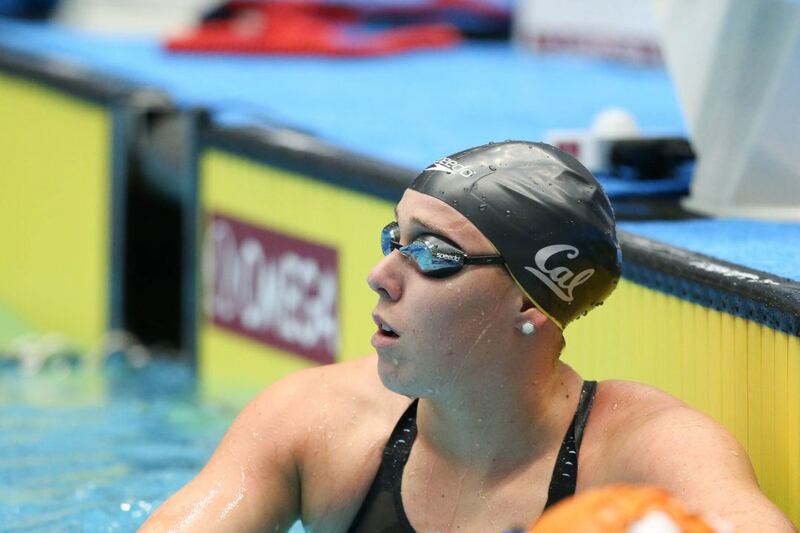 Notably, Weitzeil holds the American and U.S. Open record in the 50 free with a 21.12 set back in 2016, prior to her freshman year at Cal. On the diving side, UCLA’s Polyakova swept the springboard events – winning 1-meter with 335.70 points and 3-meter with 350.70 points. She did not compete in the platform event. Stanford won the meet for the third consecutive year with 1,775 points ahead of Cal-Berkeley (1352 points), USC (1,183.5), Arizona State (932.5), Arizona (837), UCLA (835), Utah (531.5), Washington State (284.5), and Oregon State (172). Can’t wait to watch her at NCAA! I see her winning a title or two! So deserved! Congratulations and Go Bears! Ruck did not split 20.57 anchoring the 200 MR. That was Wietzeil’s split. Ruck was 21.43.